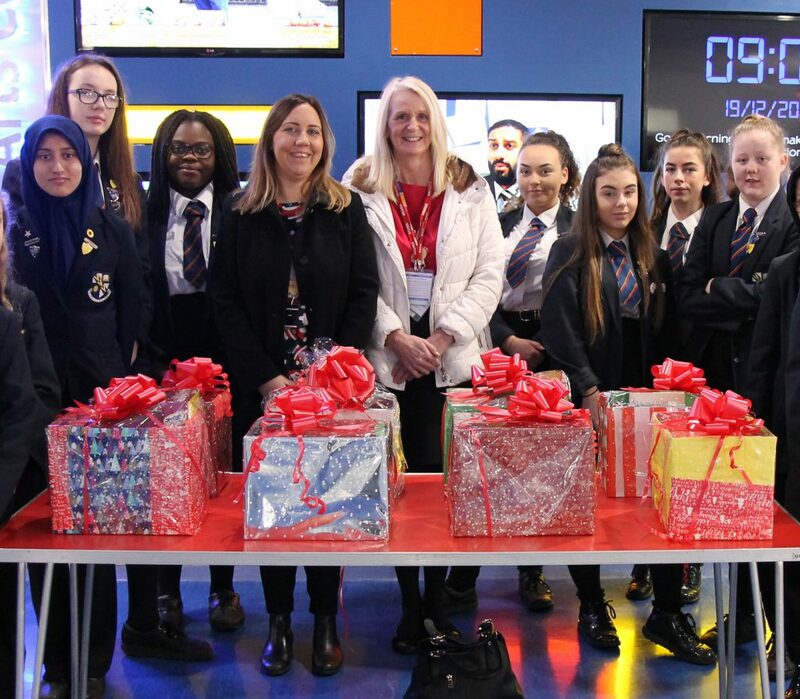 Continuing the charity work, year 7 students from The Derby High School have donated eight fantastic Christmas hampers to the Grundy Adult Day Care Centre in Bury. Each form collected enough items for to make at least one hamper each. Representatives from the centre; Anna Craig, the Day Services Manager and Karin Smalley from Senior Care were delighted with the gifts. The students were enthusiastic about being involved in the whole process of collecting and packaging the hampers.